Pre-orderers who manage to buy one will be able to cancel their pre-orders and keep the benefits. Talking about virtual reality is one thing, but experiencing it in person is a very different matter. If you've missed out on all the demonstrations at events over the past year—or if you just want to try the retail version of the Rift—now is your chance. Oculus has teamed up with Best Buy to provide in-store demonstrations of the Rift at 48 locations as part of the Intel Experience starting May 7. Additional stores will be added later this summer, in case none of those locations work for you. Right now, you'll be able to experience Dreamdeck (basically a bunch of VR tech demos) and Crytek's The Climb. In the near future, they'll be adding Farlands, a free game for the Rift. To help manage things, Oculus Live will allow you to schedule a Rift demo up to a month in advance. Perhaps more interesting is this tidbit: "A small number of Rifts will be available for purchase at select Best Buy stores starting May 7 and online from Microsoft and Amazon, starting May 6 at 9am PST. Quantities will be extremely limited while we catch up on Rift pre-orders." If you've pre-ordered a Rift, and you're still waiting, you can try to buy one at retail and then update your order status, canceling the pre-order but keeping your pre-order benefits. 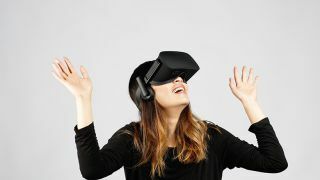 Oculus recently offered shipping cost refunds for delayed pre-order shipments that had estimated ship dates slip into June and July.